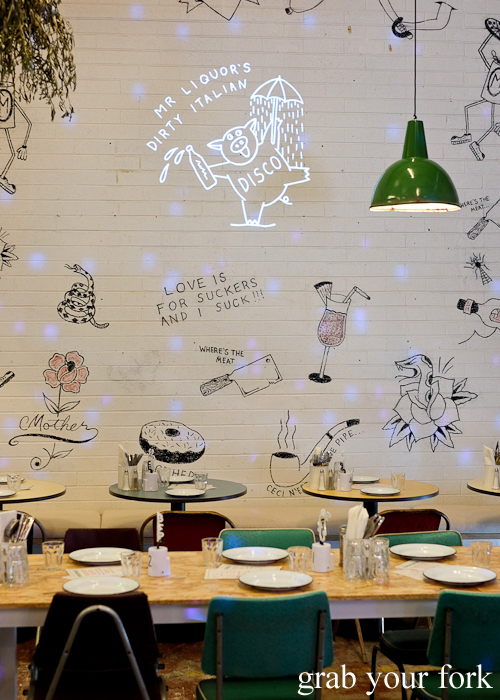 EDIT: Mr Liquor's Dirty Italian Disco has completed its pop-up. Kingdom of Rice has now opened in its place. What next from the Pinbone team that gave us chocolate crackles with parfait, fried chicken paninis and Chongqing crispy spatchcock? It's Italian, of course, in a liquor shop driveway no less. 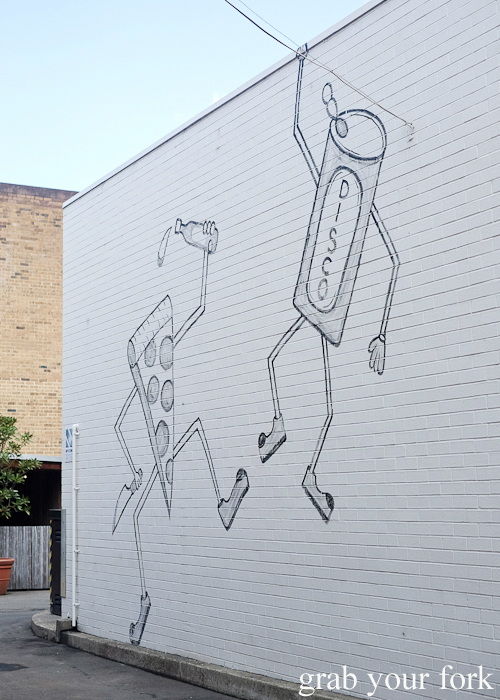 Mr Liquor's Dirty Italian Disco is the latest pop-up by Mike Eggert and Jemma Whiteman, this time collaborating with the Merivale group in one of their newest acquisitions, the Tennyson Hotel in Mascot (just down the road from Hong Ha Hot Bread). The ever cheerful Berri Eggert is back on the floor too. The hotel bistro is still running but the liquor shop drive-through down the side has been converted into a giant dining room. It's not too dissimilar to an Asian birthday celebration for the extended family in the family garage - without the plastic stools. The bonus is the casual amble over to the bottle shop fridges, including the walk-in chiller stacked with wines and beers. It's like built-in BYO. Everybody wins. True to their name, there is a disco ball. Not just one in fact, but two, casting a constant blue light dance vibe throughout the room. The main wall is covered in original drawings by foureyestattoo - if you ask nicely, the cashier has a small stock of these in sticker format and as temporary tattoo transfers. The open kitchen means you get a view of all the action. 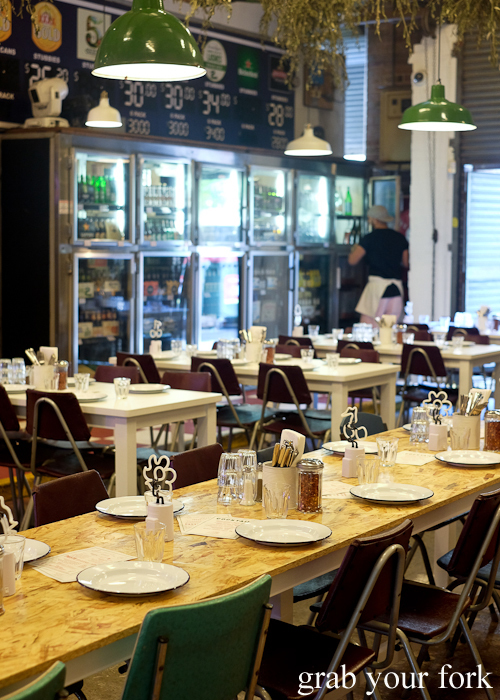 It suits the casual dining vibe, the room filled with a happy mix of families, friends and couples. 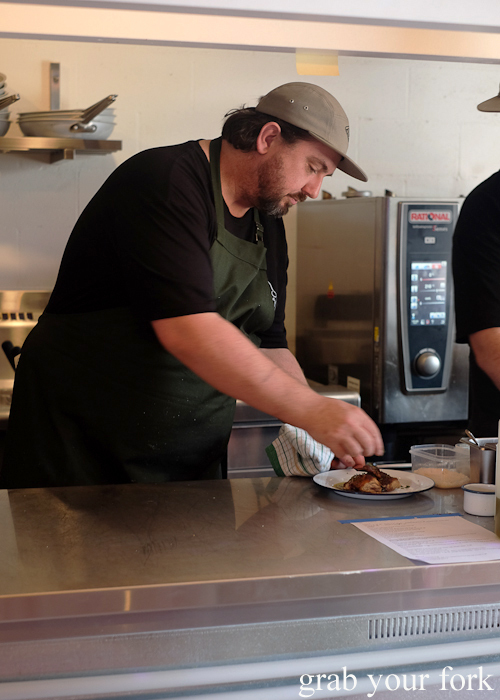 The menu offers plenty of scope, more than you'd expect for a pop-up but then again, it's not altogether unexpected from this ever-ambitious team. 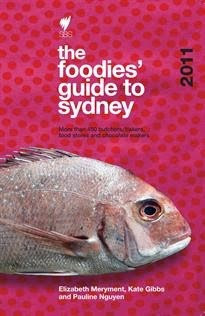 You could easily stop by for a few sneaky snacks and a bevvy or go the full hog and wallow in a four course meal. We did the latter. Naturally. 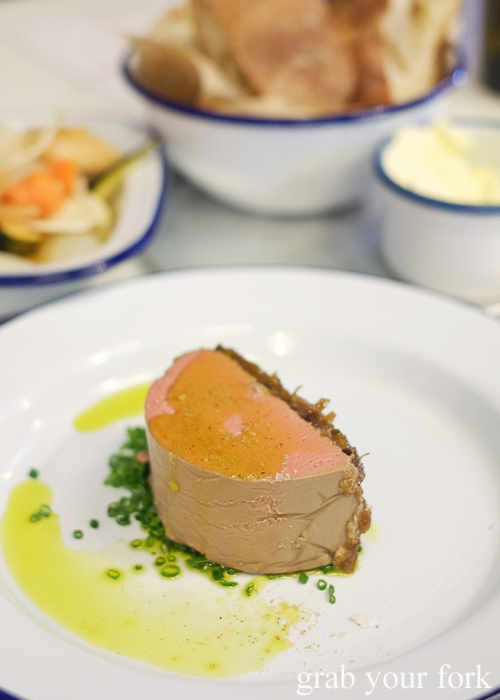 We can never resist a chicken liver parfait, and the version here is damn fine. It's just the right shade of rosy pink in the middle, already sweet enough really but the addition of caramelised onion provides a pleasing textural contrast. It's a little odd that the parfait doesn't come with any crackers or bread (looking after the paleo folk?) 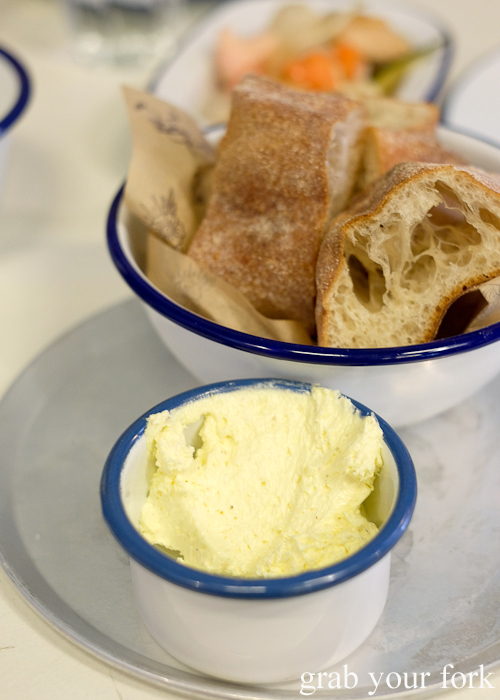 but it's worth ordering bread on the side for the whipped butter alone. The butter is a pale fluffy cloud of utter creaminess, so good that instead of using the bread for the parfait, I slathered, nay, buried it in butter instead. I ate the parfait with a fork instead. 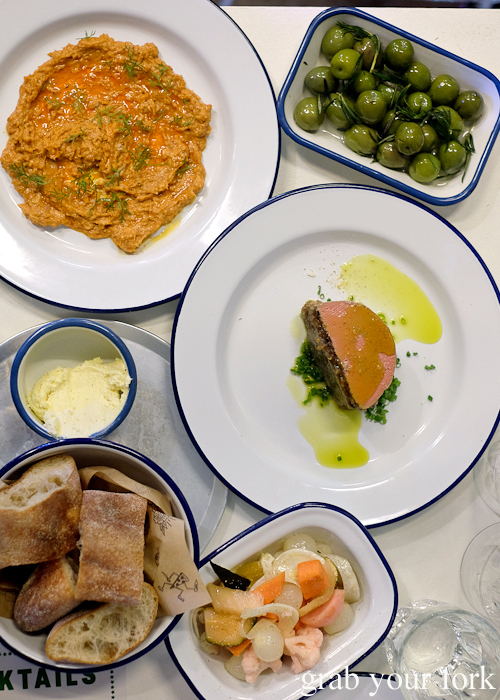 The kitchen sends out a series of snacks on the house: burrata, olives, pickles and 'nduja. We protest, albeit weakly. But looky at that burrata, a perfect little pouch of mozzarella swollen with cream. And we're grateful it's served in a bowl so we can scrape up every last skerrick of cream. 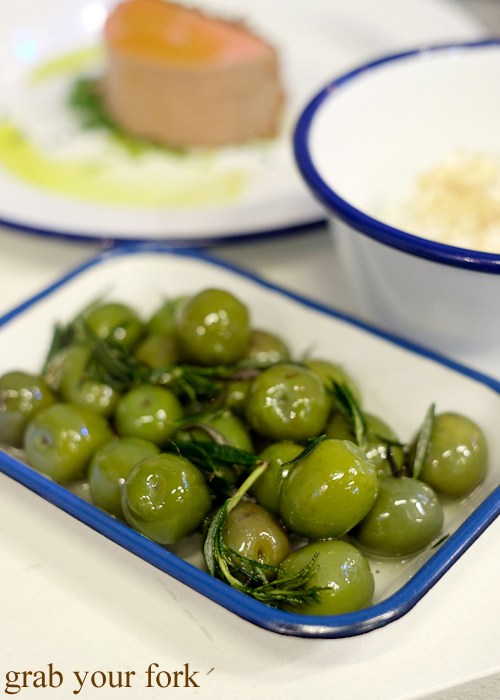 Sicilian green olives are plump and firm, marinated with sprigs of fresh rosemary. 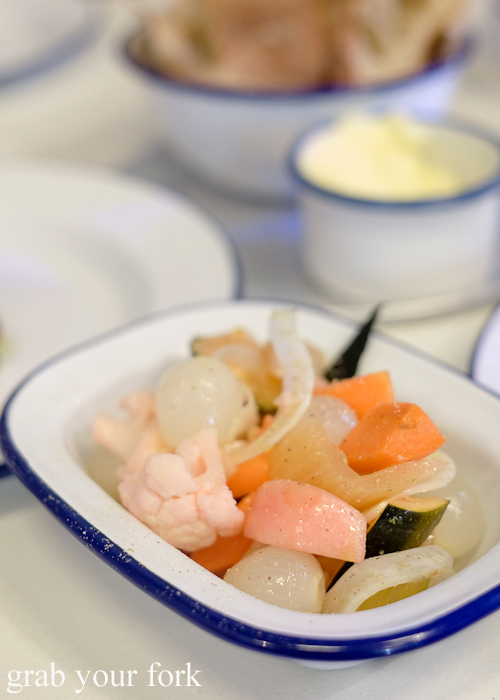 We pick through the pickles, a perky crunch of cauliflower, pearl onions, radish, celery, zucchini and carrots. 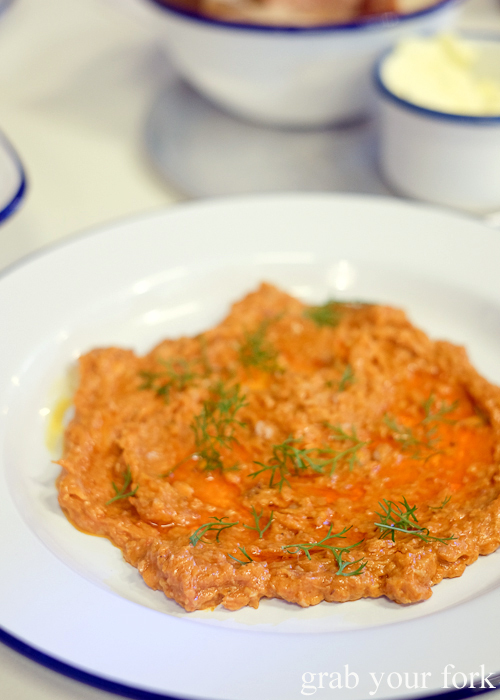 And I reserve a little bit of bread for the 'ndjua, a spicy spreadable salami that hails from Calabria. In our pre-ordering menu negotiations (always a ritual), I'd put in a strong argument for the beef tongue over the tuna crudo. I'm glad I did. 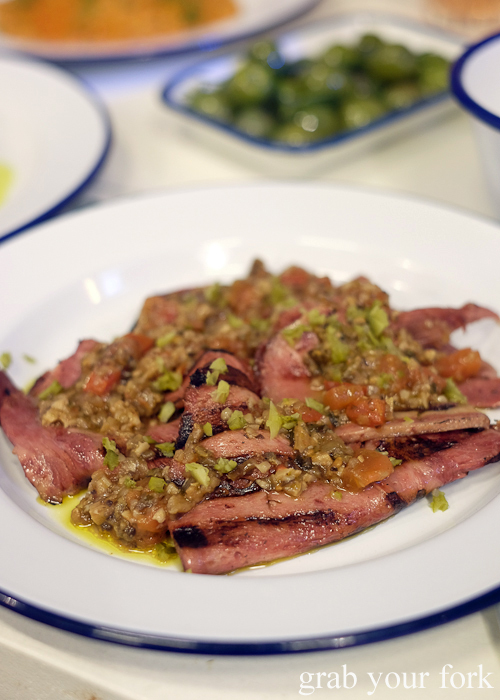 The skill behind the cooking of the beef tongue is impressive, with a softness that's a cross between veal and corned beef. Grill marks impart a caramelised smartness and the tumble of porcini and tomato salsa across the top adds a light touch of acidity. 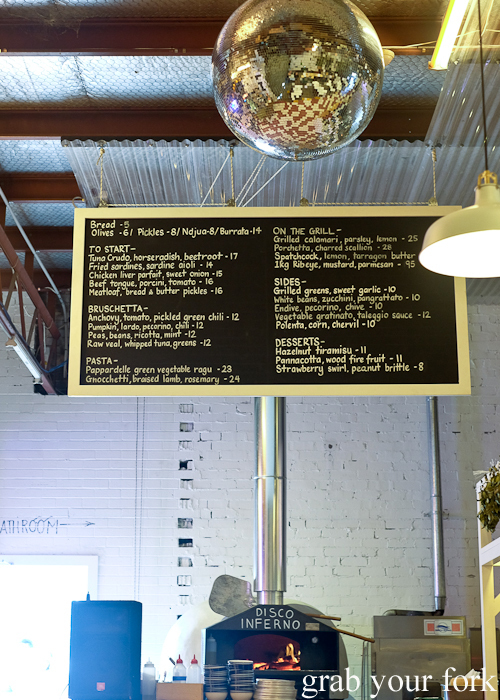 There are four versions of bruschetta to choose from but I only had eyes for the raw veal with whipped tuna which sounds like a veal tonnato but ends up more like a tasty veal tartare. 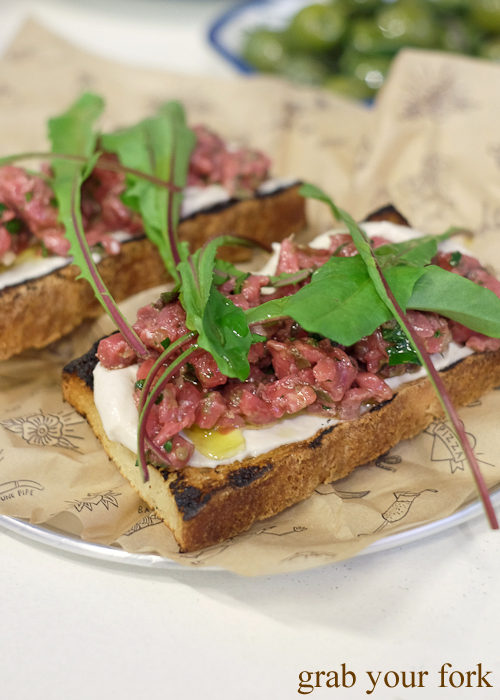 The hand-chopped veal is springy with freshness but the real highlight for me is the bread, lightly charred and enticingly smoky in all the right places. 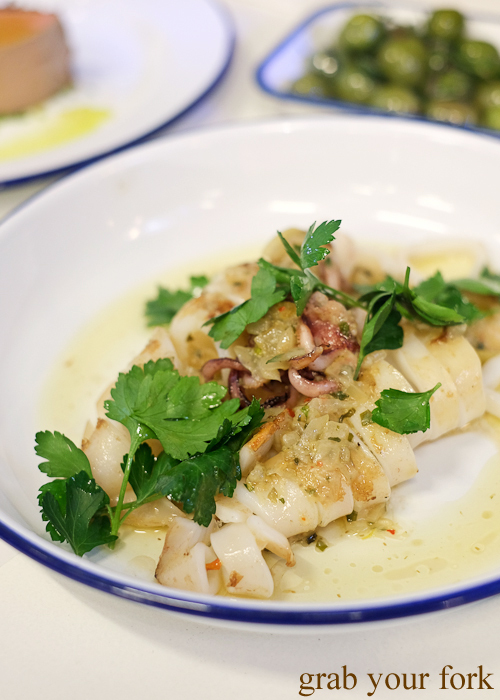 Grilled calamari is light on the char but its tenderness can't be faulted. We mop up the puddle of lemony sauce at the bottom, tinted with calamari sweetness, scarpetta-style with the very last bits of bread. 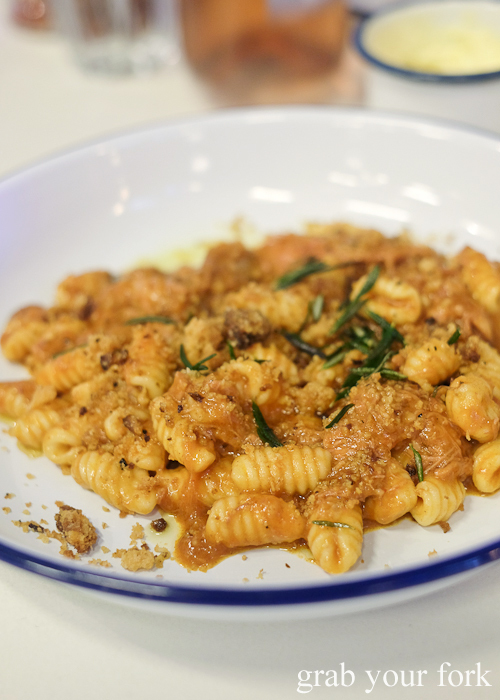 If there's one dish you need to order here, it's the gnocchetti, the southern Italian version of gnocchi that substitutes potato with durum flour. The pasta is satisfyingly al dente, and so beautifully formed you may want to pause and admire its shape before taking that first bite. The ridges make an ideal carriage for sauce, including catching threads of the fall-apart-in-the-mouth braised lamb. Pangrattato fried bread crumbs add fun bursts of crunch. The spatchcock arrives as a whole bird, not a bad deal for thirty dollars. We're instructed to squeeze the accompanying lemon half over the spatchcock. 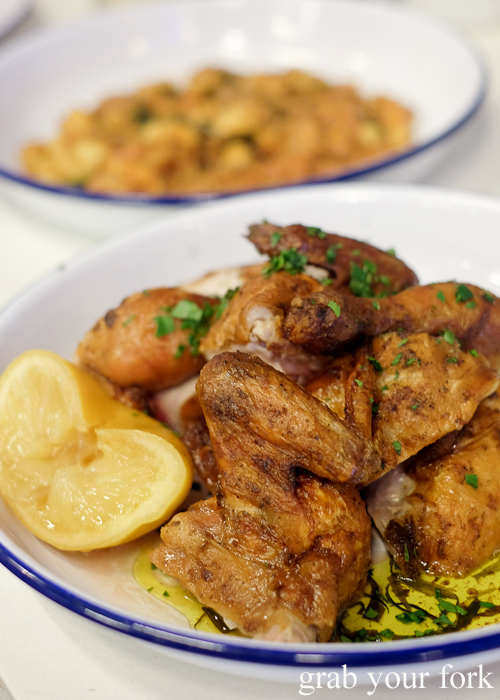 The woodfired lemon oozes out like a thick lemon jam. It's hands-on eating for maximum satisfaction here. 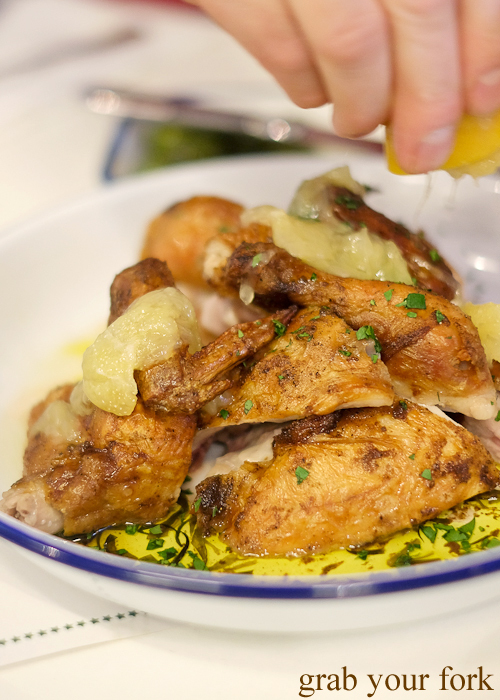 The spatchcock is silkily tender and succulent. All that's missing is a golden roasted spud or two. We pick the polenta from the selection of sides available, a wet and loose version that is fortified with roasted corn kernels. 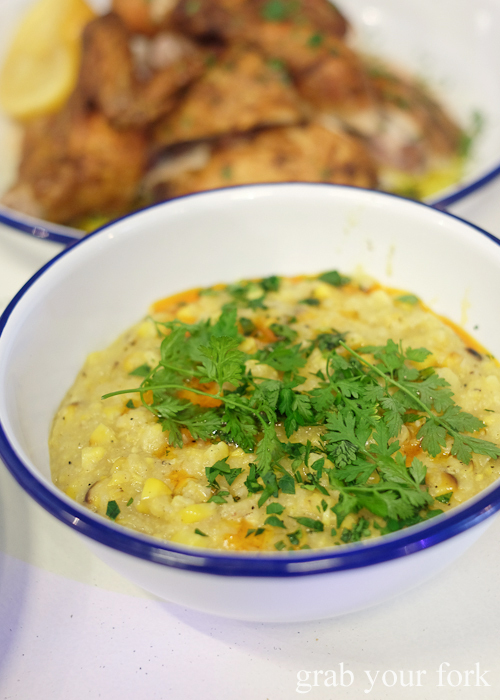 It's the kind of dish you could happily eat on its own and still feel good about it because all that fresh corn surely cancels out the buttery goodness. 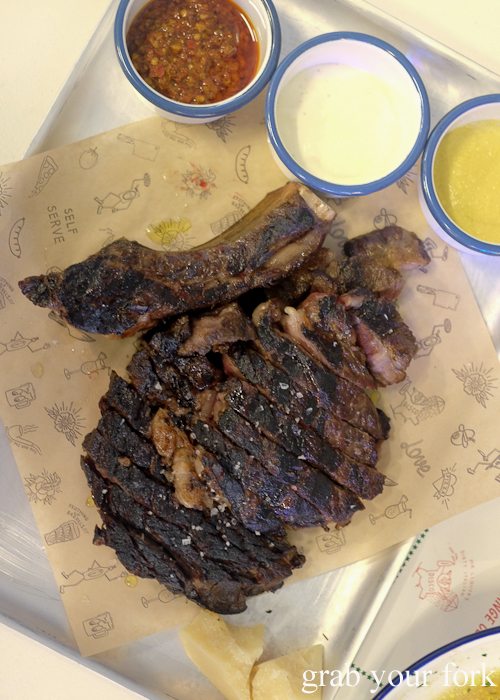 We finish with the grandest dish of all, the one kilo rib eye, so enticing when we'd previewed the menu that we'd brought in reinforcements to help us get through it. It's a beast of a steak, served on a tray with romesco, horseradish cream, mustard and a couple of hunks of parmesan cheese. There's a terrifically blackened char to the surface of the steak that comes through as a smoky flavour. Unfortunately the bottom end of the ribeye is well done but the slices near the middle are medium rare. It's a huge hunk of meat, with plenty of fat around the edges. The bone itself is worth fighting over too. Three desserts beckon for afters. 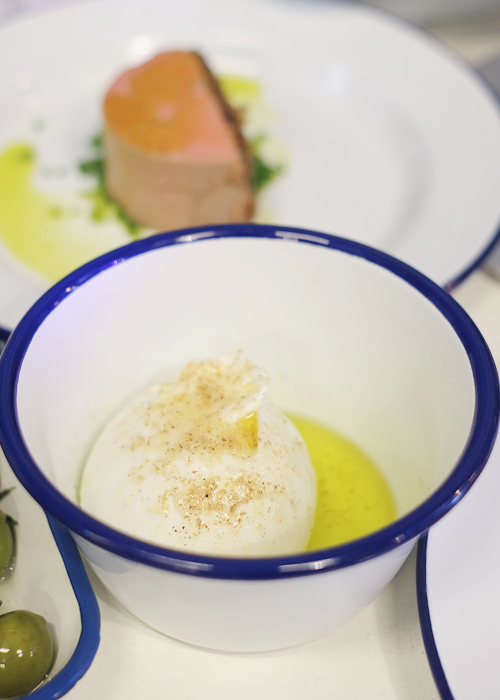 We skip the strawberry soft serve and cosy up with the pannacotta with woodfired fruit. 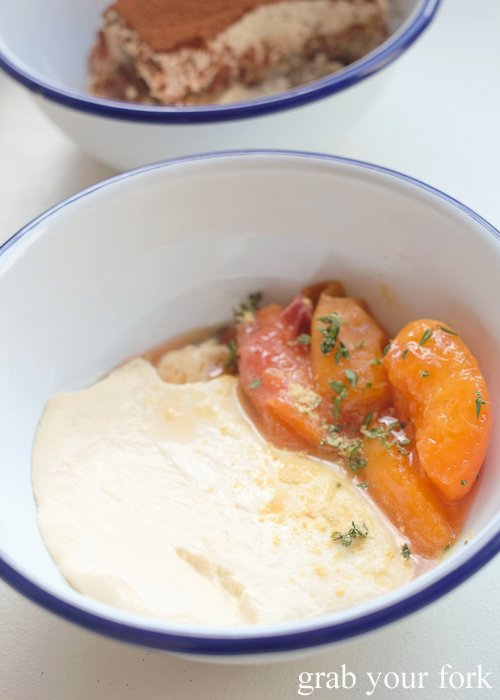 It's a lighter style pannacotta that suits the side of sweet roasted peaches. 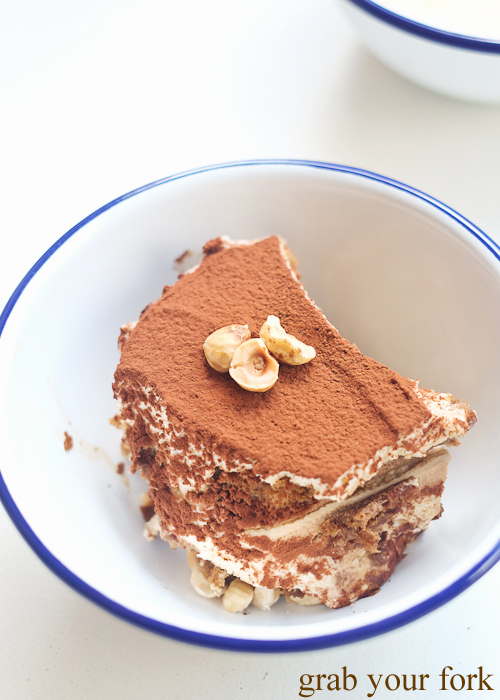 I was about to skip the hazelnut tiramisu but was glad I was convinced otherwise. It's just the pick-me-up you need, made ever nuttier with a splodge of Nutella on the bottom and a shower of toasted hazelnuts for unmistakeable throughout. The garage door is pulled up halfway through lunch, letting in the afternoon sunshine and allowing us to watch a parade of confused and curious locals walking past. 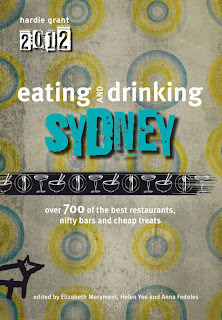 Good fare, cheap grog and a car park right across the road? There's no excuse not to get down and dirty at this Italian disco. The only catch? 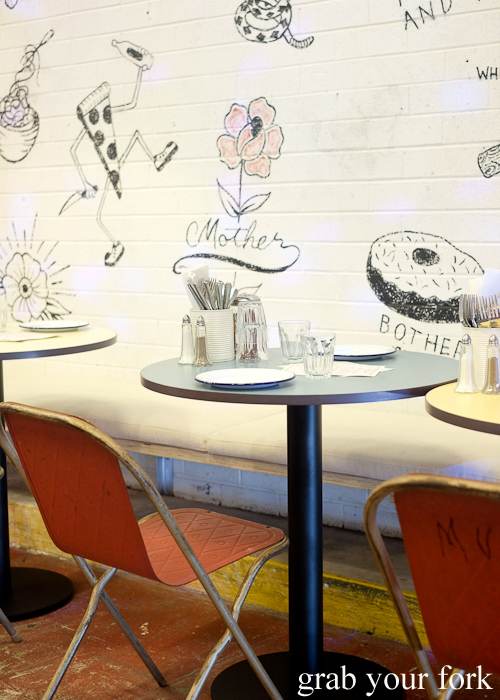 The pop-up is only scheduled for six months so get down and boogie before it closes in April 2018. 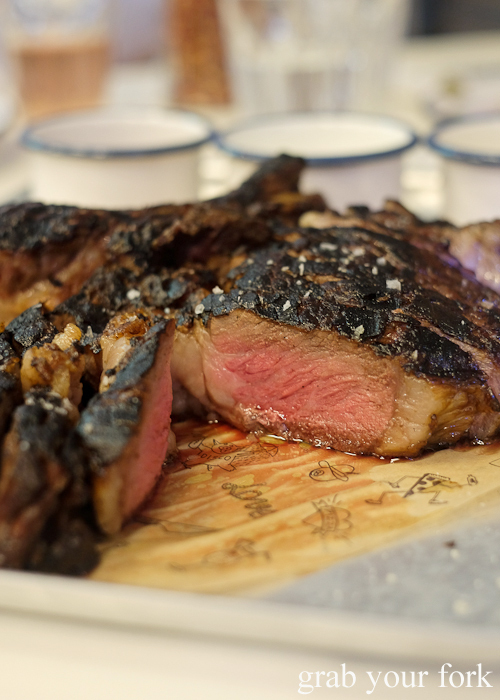 That rib-eye seems a little well done but still so juicy inside! I would attack the bone and gnaw the yummy sinew too. WOW!!! 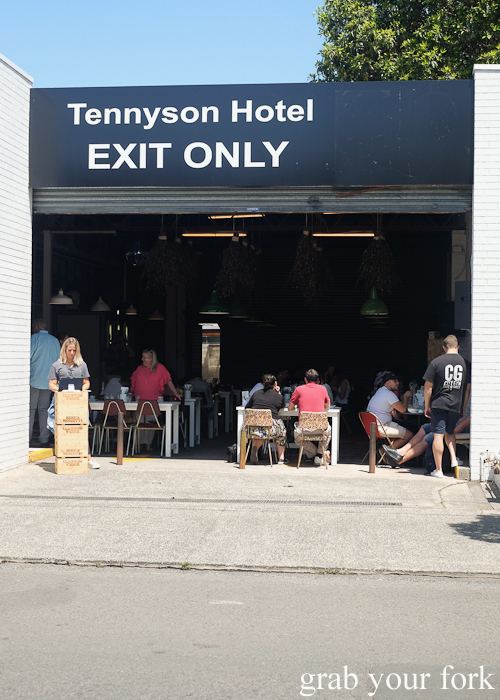 Having grown up in Mascot, living a street away from the old Tennyson this blows my mind. How things change! 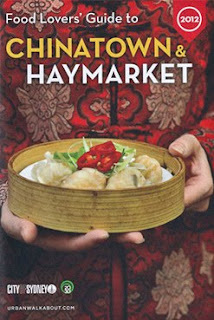 Will have to check this pop up out, curiosity and a walk down memory lane have gotten the better of me. Aight, will make sure I get that gnochetti! I'm feeling peckish for the rib eye! 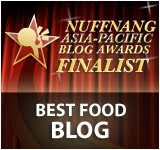 No wait...maybe it's the chicken pate...no wait it's it's hazelnut tiramisu. Ahhh it's everything!!! Parfait envy! I find them hard to resist too. The rib eye steak looks out of the world!